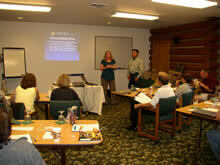 Receive Utah POST (Peace Officer Standards and Training) training hours for this course. To receive credit, an administrator (Head of Agency) from your department must approve this course prior to enrolling. Minimum Course Requirements: Complete a minimum of 24 hours online and score 70% or higher on all tests. If you need help, please contact us or call us @ 303-954-4875. © Copyright 2005-2019 Digitelligent, Inc. All rights reserved. We're certain that you're going to enjoy your learning experience. Every course carries a 14-day money back guarantee. If you are not completely satisfied with your learning experience within the first 14 days of activation, send us an email and we will give you a full refund.